E-auction of six slots for new channels on DD DTH free Dish DTH DD to be held next week. Summary:- New 97 TV channels on dd direct plus freedish in ending october and 125 new TV channels on dd dth in ending march, said Parsar Bharti CEO. The 14th e-auction on-line for six slots for direct to home TV services (DD DTH) of Doordarshan Freedish will take place on August 11th and 12th beginning with a 3 crore to take minimum price. 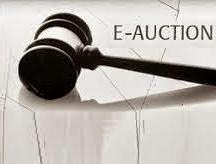 The electronic auction will be conducted by Synise Technologies, Pune, on behalf of Prasar Bharati. Prasar Bharati CEO Jawhar Sircar said earlier this week that the goal was to reach the target of 97 channels for October-end and 125 by March-end. So now new 97 TV channels on DD DTH will come soon. Contain the conditions for eligibility other relevant information about electronic auction will be displayed on the DD website: www.ddindia.gov.in. The level of participation (EMD) is Rs 1.5 crore rupees deposited in advance or before August 11 in favor of PB at 12:00 clock, with the processing fee of Rs 10,000 (non-refundable) (BCI) Doordarshan commercial service, New Delhi. Applicants must hold a draft of Rs 5500 as registration fee (required) submit promotion Synise Technologies, Pune payable at the time of filing the application. Applicants must provide their email address, phone numbers and documents enable downlink uplink / received by the ministries concerned, failing which their application is not always permitted. DD DTH will refund money of those who do not qualify for those TV channel slot immediately or returned within a week after the process e-auction is to be terminated.